Gold Standard Ventures Corp. (TSX-V: GV; OTCQX: GDVXF) reported today that it has entered into additional leases (the “Leases”) with various land holders encompassing approximately 2,781 net mineral acres of land adjacent to the Company’s Railroad gold project in Elko County, Nevada. GSV now controls approximately 18,130 net mineral acres associated with its Railroad Project. All of the Leases are substantially the same and provide for a primary term of 10 years, but will continue thereafter as long as commercial mining operations are being conducted on the lands. Each Lease is subject to a small upfront signing bonus and annual advance minimum royalty (“AMR”) payments of US$17.50 per acre in the first and second years, increasing to US$28.00 per acre in the seventh year and thereafter, of which approximately US$111,239.73 has been paid to date. The Leases are also subject to a production royalty of 5% of net smelter returns (payable in proportion to the interest held), against which the AMR payments shall be credited and recouped up to 80%. Gold Standard Ventures Corp. (TSX-V: GV; OTCQX: GDVXF) announced today that hole RR11-16 at the Company’s Railroad project in the Carlin Trend of Nevada has intersected 185 feet of 0.124 opt (ounces per ton) of gold (56.4 meters of 4.26 grams/Tonne) from 555 to 740 feet (169.2-225.6 meters) including an interval of 60 feet of 0.21 opt of gold (18.3 meters of 7.03 g/T) which contains two five foot intercepts grading above 0.4 opt of gold (14 g/T). Mineralization at this depth could be accessible by open pit. The call will be hosted by Jonathan Awde, president and chief executive officer, and Dave Mathewson, vice-president of exploration. Callers should refer to the newly posted slides on Gold Standard’s website that will be referenced during the meeting. If you cannot participate on February 22, 2012, a replay of the conference call will be available by dialing one of the following replay numbers. You will be able to dial in and listen to the conference two hours after the meeting end time, and the replay will be available until March 5, 2012. Please enter the replay Passcode No. 464831 followed by the pound key. Gold Standard Ventures (OTCQX: GDVXF; TSX-V: GV) provides an exploration update on Railroad and East Camp Douglas projects in Nevada. At the Company’s flagship Railroad property in the Carlin trend, three core rigs and one RC rig continue drilling. Progress is good considering the conditions and all three holes are angled into the recently identified north-south-trending target zone testing for high-grade structures which would have fed the broader North Bullion Fault Zone target area. At East Camp Douglas, a 30 hole notice of intent has been approved by the BLM. One core rig is being set up now and additional rigs will be added upon completion at Railroad. Company geologists have designed an initial 10 to 12 hole core drilling program, totalling about 10,000 feet, operating through May of this year. No core drilling has ever been conducted on this property, only shallow RC holes, the latter of which intersected 55 feet of 0.51 opt gold from 30 feet to 85 feet down the hole. 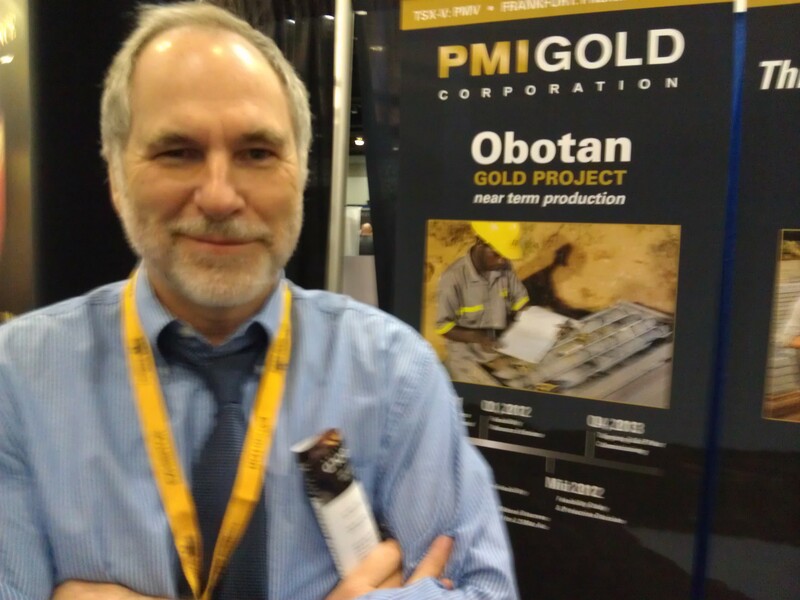 Gold Standard Ventures (OTCQX: GDVXF; TSX-V: GV) has three core rigs and one RC rig currently drilling at the Company’s flagship Railroad Project in the Carlin Trend focusing on the promising North Bullion Fault Zone target. Two of the core rigs are drilling with PQ core and one is continuing with reduced size HQ core. All three are drilling angled holes into the recently identified north-south-trending target location looking for high-grade feeders within the broader North Bullion Fault Zone target area. At the North Ridge Target Zone located on the Company’s Newmont Joint Venture adjacent to the Railroad Project, an RC rig is drilling a second vertical scout hole. On the Company’s East Camp Douglas Project (“ECD”) a 30-hole Notice of Intent has been approved by the Bureau of Land Management. A core rig is being mobilized to ECD next week. ECD is a district-scale exploration opportunity within the productive Walker Lane region of Nevada. Gold Standard acquired the project in September, 2010 through the successful consolidation of land/mineral rights in the district. You are currently browsing the archives for the Gold Standard category.